Senior residents of Elk Grove Township age 55 and older may use our DIAL-A-BUS (door-to-door) service. Due to insurance restrictions grandchildren are not allowed to ride on the bus. Space is limited and reservations will be accepted on a first come first serve basis. Please inform us of your disability when calling for a reservation. DIAL-A-BUS is available to seniors Monday through Friday 9:30 AM and 3:00 PM on an advance reservation basis. Reservations must be made at least one day in advance by calling the Elk Grove Township office at 847-437-0300 before 3:00 PM. On the day of your scheduled ride call after 9:15 AM to find out your approximate pick-up time. If you need to cancel please call at 9:00 AM. We will take riders to Doctors appointments Monday through Friday. 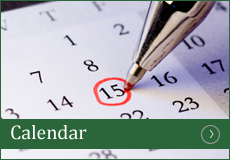 Please make your appointments no earlier than 10:30 A.M. and no later than 1:00 P.M. Please note, all appointments must be finished by 3:00 p.m. The township bus goes anywhere within Elk Grove Township boundaries, which are Central Road on the North, Devon on the South, Mt. Prospect Road on the East and Rohlwing Road on the West. Local area hospitals which we transport to are Alexian Brothers and Northwest Community. Please be patient. Occasionally when numerous calls come in simultaneously you will be asked to hold. Be ready at least 15 minutes before your pick-up time and be patient if the bus is late….our buses cover a lot of territory. A donation receptacle is located near the driver on each bus. This donation is purely voluntary, but does help defray the cost of bus services. 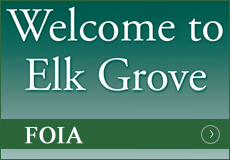 Further information and bus schedules can be obtained by calling Elk Grove Township at 847-437-0300. Applications are available for food stamps, Medicaid, and QMB, which is a program to assist with the cost of Medicare premiums, co-payments and deductibles. Advocacy, information and referral are also provided. Emergency Assistance is available for those residents facing life-threatening circumstances, such as eviction or utility disconnection. This financial program is available once every 18 months to those who qualify. The General Assistance Department also houses an emergency food pantry. Residents can access the pantry monthly, but must bring in a picture ID and proof of residency (ie – Utility or Medical Bill dated within the last 30 days) to each food pantry visit. A joint venture with Northwest Community Hospital, Palatine Township and Wheeling Townships, this program offers preventative and simple restorative dental treatment in a state of the art clinic on wheels. Cost is a surprisingly low $30.00 per visit. Residents must be financially qualified. Contact the General Assistance Department to inquire and make an appointment. 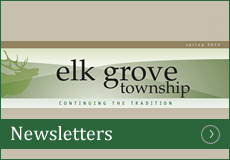 This program is designated to enable Elk Grove Township low-income seniors to have work done around their home by students from High School District 214. Seniors in need should call to schedule an appointment for a home visit. A $5.00 discount is offered on taxi rides for senior citizens and disabled Township residents 18-54 years of age. Please contact us at 847-437-0300 for additional information on these or any other services we offer. Anyone that answers the phone will be able to assist you. 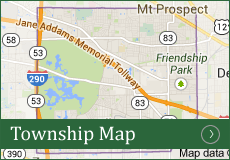 * = TRIP Program is restricted for medical appointment bus rides outside of Elk Grove Township boundaries.